From Goodreads.com: While most kids can’t wait to dress up in costumes and go out trick or treating, Charlie, Jack, and Millie Foster dread Halloween. Even the promise of receiving a slew of candy doesn’t interest them. How could it when they know the truth about All Hallows Eve? That it’s really a day to fear, a day when the dead walk the earth again. 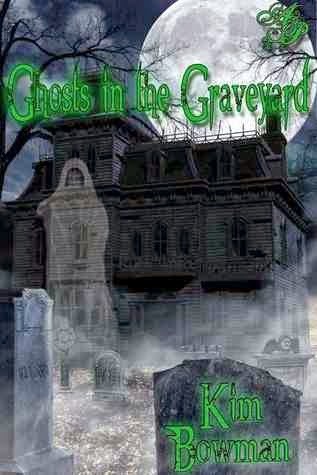 With their house sitting directly behind a graveyard, they are prime targets for the spirits to haunt. The overall story of this novella was something that I have seen before (although that was a movie and not a book), however I felt that it was approached in a way that made it feel as though it was still a unique story. While there were some circumstances that were very similar to the other story, overall, I thought this was a well done approach to the concept. At only 48 pages, it is definitely a short read, however in my opinion it would be a perfect way to pass the time either while camping, on a dark and stormy night, or on Halloween especially as the events do take place during Halloween. You could feel the brotherly bond between Charlie and Jack, and the way that they were especially protective of their baby sister Millie was endearing. I could picture them, preparing to protect themselves against the ghosts, even though they were terrified at the thought. As for recommendations, I think this book would appeal more to the tween/teen crowd. This is something that although it is definitely creepy, would be something that I would allow my almost ten year old daughter to read. Paranormal fans may also enjoy this work. DISCLAIMER: I received a complimentary copy of this novella in exchange for my honest review. This has not affected my review in any way. All thoughts and opinions expressed in this review are 100% my own.